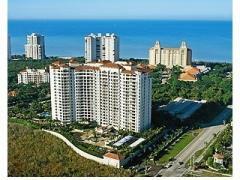 Florencia is a high-rise condo tower in The Colony at Pelican Landing in Bonita Springs. Building amenities include a resort-style pool with cabanas, a social room with billiards, fitness center, business center, guest suites and a theater room. Have any comments or questions about Florencia? Ask your question and/or share your thoughts about this Building.